Telemarketing is simple but not easy. It involves one person picking up the phone to another and promoting their products and services. What could be easier? But, there are all manner of barriers in the way from voicemail to people being in meetings to gatekeeper blocks. To help you create an effective telemarketing campaign for your business, check out our 11 steps below. Targeting is all important. You can’t hit a target you can’t see. That means you need to consider and understand the target audience that is likely to be most interested in your product or service. it’s all well and good “knowing” where to target but, without accurate data, you’ll spend lots of wasted time going in the wrong direction. So, spend time creating a database of target prospects with correct phone numbers (of course). You may be able to purchase a list from a good broker but, often, building your own list is worth the investment in time. The worst telemarketers ‘pitch’ when they eventually get the prospect on the phone. Don’t do that. Work out what headaches they have and identify a way to hel0 them alleviate the pain with your product or service. Position what you do in those terms. It’s benefits not features. They don’t care what you know until they know you care! You know that you’ll reach a gatekeeper in most cases when calling large companies. So, work out your strategy. What will you say? What shouldn’t you say? And, consider why they might want to put you through. Check out this blog for techniques. You only have a few seconds to make your first impression. Don’t waste them. Be upbeat, positive and concise. Use the ‘pain based’ intro you’ve developed that helps them solve their issues. Each few seconds of your intro helps you build the next step of the call. So, spend time working out what you will say. All too often, telemarketing calls meander. As a consequence, the prospect slips through the fingers of the telemarketer and they allow the customer to wriggle free. Be clear on the outcome you want and ask for it. You need to build rapport first, but once that’s in place, ask for what you want. Over-confidence is bad. Positive energy and confidence are good. So, inject some warmth and oomph into your calls. No-one wants to be bored rigid b6 a dullard. So, make sure you’re full of beans at the point of your call. Compliance is boring but essential. 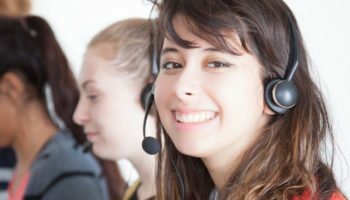 There are two sets of rules that apply to telemarketing in Europe. These are GDPR and PECR. Make sure you comply. This includes deciding the lawful basis for your call. For marketing, this could be ‘consent’ if you have a relationship e.g. where they have signed up on your website, or ‘legitimate interest’ where you need to carry out an assessment before you call. If you’re making a genuine customer service call, it may be that your basis for processing may be as par5 of a contract of sale. However you handle this, if you don’t have consent or a contract, you will need to screen the data every 28 days against the CTPS/TPS opt-out registers. Remember, these apply to consumers AND businesses. Don’t forget that you also need to screens any calls against suppressions i.e those individuals that have asked you to stop contacting them. Good telemarketing systems are not the same as good systems. A CRM system will definitely help your marketing and customer relationships. But, does your system facilitate effective telemarketing. Is everything on one screen so that the callers don’t need to look elsewhere for info before, during and after the call? A good workflow is the difference between 10 and 20 calls per hour. And, since telemarketing is, in part, a numbers game, productivity is everything. You won’t reach every customer on every call. Far from it. That’s why you need to ideally provide other impetus. That means being visible through( content, like this blog. It means using targeted email marketing. It could be a creative piece of direct mail. Perhaps it’s PR aim trade media. There are lots of other marketing methods you can use. The more visibility and awareness you have, the greater the likelihood of them welcoming your call. Too many telemarketers fail to follow up or give up too soon. Too many fail to make enough calls to stack the odds in their favour. We don’t mean carrying on in the face of obvious rejection. Check out our techniques for handling objections. But, you need to recognise that telemarketing is a discipline. It is a process. Part of that is consistent calling over a period of time, all the while ensuring that you build rapport and ‘touch’ the customer using other methods if you can e.g. LinkedIn, email, mail etc. Telemarketing is a straightforward marketing method that is simple to put into place. However, you can easily set yourself up for failure if you don’t follow these steps to success. If you’d like to speak to GSA about your telemarketing campaign, give us a call.